When it comes to looking for partnerships as part of a value chain, one area tends to be neglected. Usually, business people will develop their business plan properly, identify their market and their source of supplies, and make sure that the math is solid. Beyond the numbers, there is always the human factor that will play a role. Every company, therefore every partner in the chain has its own specific culture. This is important to realize, because when cultures, and values, do not match, the relationship will always bring some hardships at some point. This is not a simple problem to solve, and usually, only few potential partners share your values. It is also important to realize that the word “values” does not necessarily imply good ethics and honesty. After all, hyenas move in packs. Sometimes, the partner that can help grow your business the fastest might not be the right one for the long-term, but it might be the best choice for now. Depending on in which region of the world you do business, the sense of time, sometimes even of urgency, can vary a lot. For instance, North Americans tend to want to start business immediately, while the Japanese will take all the time they need to find out whom they do business with, and build enough of confidence in their potential partner before starting business. In the land of the rising sun, it can take several years before the first transaction takes place. What are the risks of a mismatch of values? It can have serious consequences, depending on how much of your business is engaged with the “wrong” partner. It can range from dissatisfaction about the profitability of your business, constant disagreements and tensions with your business partner, to your being ripped off. One thing is sure: there will never be complete trust and loyalty when values are not aligned. Several years ago, I developed a quantitative system to evaluate the value of a business partnership. It is rather simple in its design and very powerful in its implementation. It helps identify the strengths and the weakness of the business relationship, and it is an amazing to tool to use to address potentially damaging issues over time, and create clarity for future dealings. By realigning values, both business partners can develop a plan of action and look beyond the price negotiations alone. I read many blogs, articles and opinions about food on a regular basis. Yesterday, I came across an interesting blog post on Meatingplace.com. Yvonne Vizzier Thaxton, an authority in the US poultry industry, wrote the article, titled “Consumer trust” after she found out about a survey carried out by the Center for Food Integrity. Basically, the survey concluded that as farms were growing in size, consumers started to wonder if they still had the same values, and although small farms still have the public opinion’s trust, large-scale farms are looked at with suspicion. That article brought me to think about trust, how it works, and what to do to win it back once it has been lost. Instead of trying to figure out which group of the population to influence, as the author suggests, I prefer to go back to the basics. If I stop trusting someone, what would he/she have to do to convince me that he/she is trustworthy again? The empathic exercise is a much better way to find out what might work or not. In my opinion, that is exactly what the food sector should do first, instead of pushing the same message without much success. First, people stops trusting when they are disappointed, when they feel betrayed or when they feel unsafe. By finding out which one of the above caused the loss of trust, and what more specific reasons made the public change their minds, the food sector will already make huge progress. The second thing to keep in mind is regaining trust is even much more difficult than winning it in the first place. The baggage will stay in the way for a long time. Therefore, a lot of patience is required. There will be no quick fix. A cute video clip, well-thought press releases will not be enough. Far from it. Trust is not something that can be forced, it must be earned. Trust is the result of consistent and positive behavior that benefits the other party. Once people have lost trust, per definition, they do not believe anything they hear from the distrusted party. In fact, they will hardly listen. Therefore, words will have little impact, unless they go along with actions that confirm that the message is true. If the food industry does not want to change and hopes that communication will be enough to change the public’s mind, nothing will change. When you want someone to prove to you that he/she is reliable, you want to see tangible proof that something is changing in your favor. The most powerful communication tool that really works for regaining trust is the non-verbal communication. The distrusted one must sweat to win trust back. This does not take away that verbal communication must continue. It will keep the relationship alive, but it will not be the critical part for turning around the situation. Here is just an example to illustrate this. The US meat and poultry sector has undergone many recall procedures about bacterial contamination over the years, and at this day, this problem seems to continue. The industry takes measures to solve the problem, because such recalls are very costly, but as long as there will not be an obvious change in food safety, and recalls keep on happening, consumers will keep doubting how their meat is produced. Food suppliers have no other choice than to listen to the consumers. The customer is always king. The customer is always right, even when he/she is wrong. A lot of this is about perception. Here is an example of the above. Last June, Greenpeace came with a ranking of Canadian retailers about their seafood procurement, and in particular about their sustainability score on seafood. Costco scored poorly, and their first reaction was to dismiss Greenpeace’s assessment, by basically saying that they are professionals who know what they do, and that they do not really need advice from Greenpeace. Yet, a few weeks later, Costco reorganized its seafood assortment from 15 species back to seven sustainably produced seafood species. That is successful non-verbal communication. Regaining the consumers’ trust will require transparency, integrity, honesty, a lot of patience and communication, and most of all action towards change that meet the market’s demand. This does not mean that all consumers wishes can be met. After all, life is a continuous negotiation. Food producers and the public need to meet somewhere halfway. Market-driven always trumps production-driven. Over the past decades, agricultural subsidies have received an increasingly bad publicity, especially as a major part of the WTO Doha round of negotiations is aimed at removing them. Yet, with an increasing world population and the need for more food production, one can wonder whether agricultural subsidies really are a problem. History has shown that subsidies can be a very effective way of boosting production. For instance, subsidies have been a major element for the European Union to increase its agricultural production in the decades following WWII. To show how effectively money talks, you just need to see how financial incentives have made European vintners pull off vines, then replant them pretty much at the same place later. Subsidies have encouraged Spanish farmers to plant many more olive trees than the olive market needed. Subsidies work. When people are paid to do something, they usually do it quite willingly. The true problem with subsidies is to have a cost-effective system. Subsidies must help produce what is needed. They are only a means and they must not become an end. Subsidies also need to deliver the right incentive to be effective. Too often, they have adverse effects because they do not encourage the right behaviour. An example of subsidy that seemed to aim at the right action and yet did not deliver proper results is the subsidy on agricultural inputs by the Indian government. They subsidize fertilizers with the idea that, this way, fertilizers would be more affordable for farmers and therefore the farmers would be able to increase their yields. As such, this is not a bad idea, but the practice showed a different outcome. Farmers with little or no money were still not able to buy enough fertilizers, and richer farmers just bought and used more fertilizer than necessary. 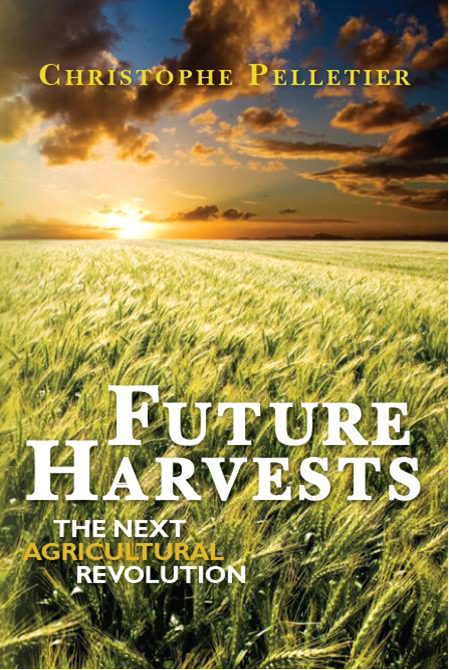 The result has been an over fertilization in some areas and an insufficient fertilization in other regions, as I explained in more details in my book, Future Harvests. For subsidies, too, quality must come before quantity. Subsidies must be a part of a comprehensive plan towards the essential goal: feeding more people. They must be part of a market-driven approach, and they should not to entertain a production-driven system. Subsidies, or should I call them government support, take many forms and many names, from straight subsidies to grants, “market support mechanisms”, “export enhancement programs” or specific tax regime for farmers, etc… There is quite a bit of semantics involved. Perhaps the stigma on subsidies comes from their being granted by governments. Aren’t private investments just another type of subsidies? After all, that money aims at encouraging more production. The main difference is about the kind of return. Private investors look for a capital return, while governments look for a societal return. A positive example of effective money incentive linked to a comprehensive approach that involved government and private companies is the rice production boost in Uganda (which I also present in Future Harvests). This effective policy helped increase production 2.5 times and turned Uganda from an importing rice country to a net exporter within 4 years! I believe that the main bone of contention about subsidies is the competition on markets. Every player involved on world markets, either importers or exporters wants 1) to have the best conditions to compete against others and 2) wants to make conditions for others to compete as difficult as possible. The untold story is that many countries would like others to cut their subsidies while keeping (some of) their own. Only the competitor’s subsidies are unfair. Moreover, addressing subsidies is not enough. At the same time as subsidies, all import restrictions, such as anti-dumping tariffs or import duties should be looked at, as they are blatant attempts to skew the competitive positions. The issue is not really aimed at developing a comprehensive plan to feed the world. The Doha round started in 2001, but since then, we have had the food riots of 2008 and the spectre of further food inflation. This, too, should be taken into account. Considering how critical financing is for farmers, and that many farmers (more than half in the USA) need a second job to make ends meet, some form of financial support is generally very useful. Also, let’s not forget that we will need farmers for the future and agriculture needs to be an attractive profession if we want to have the people that we need to produce all the food! A couple of days ago, I came across the following quote: “Tell me and I will forget, show me and I may not remember, involve me and I will understand”. I cannot confirm who the author is, as it has been attributed to brilliant thinkers such as Confucius, Aristotle, Benjamin Franklin or an unknown Native American. It does not really matter. This quote brought me to start thinking about what it could mean for the agricultural and food sectors, as they are under fire on a regular basis. Why cannot it convince the public of its message(s)? Opponents of agribusiness tell a lot about their opinions, they also show a lot of pictures, documents or footage of what they criticize, and they certainly are very active involving as many people as they can. The agriculture and food sector, including aquaculture, also tells a lot, shows some, but not enough about their daily operations, and they seem to have a hard time involving enough outsiders of the industry. I read many blogs and articles from both sides and I regularly come across the “agri-food” authors wondering why the public is so difficult to convince. After all, the industry claims to have the scientific facts that prove its points. The industry is wondering whether the difference in communication effectiveness is linked to budget amounts or whether it has to do with the quality of the PR officers from both sides. I do not think that it has much to do with either. I have concluded that it comes from the ability to make people understand the story. Therefore, it has to do the ability to involve the public with the industry. To involve the public, it is necessary to create an emotional connection first. This is critical and, unfortunately for the agribusiness, this appears to be a difficult area. Indeed, how to connect with people who have little, if any, connection with the agricultural world and who rarely get to see the reality by themselves. Media and internet are the channels where they find information. Opponents of agriculture have an easier job in the sense that they want to change the system. The worst that can happen to them if they fail is the status quo. They win nothing, but they lose nothing, either. The industry is the one that has the most to lose. Generally, this translates into a defensive approach, and that does not communicate well. Per definition, being defensive means having lost the initiative. Only the ones who have the initiative can lead, and only the ones who lead have followers. Connecting emotionally means exactly what it says. Rational arguments do not work. At least not until the connection is made. The typical response of the agri-food sector is about bringing scientific facts, but how to convince people who 1) do not trust you, 2) who are worried about their food and 3) who do not have the scientific knowledge to comprehend these scientific facts? Cold scientific explanations will not work. All this does is creating distance. Not ideal when you need to connect. I always like to make a comparison with parents of children that just had a nightmare. The children’s fears are not rational, but they are quite real, as you certainly can remember. Normal parents try to comfort the children. And how do they do that? They ask what the problem is. They listen. They empathize. They tell the children that they will go with them to the bedroom and show them that there is no green monster hiding under the bed. They will lie down on the floor and look under the bed. Then, they will take the child to have a look, and that is involving the child! This is how they connect emotionally, which allows them to switch to rational arguments and get the child to go back to sleep. Of course, they will not close the door and leave a little light so that the child does not feel thrown back at the green monster again. They empathize again. Do you think that telling the child that there is no scientific evidence of green monsters would work, or that research has showed that nightmares are not real? And do you think that dismissing the child’s fear as unfounded and therefore about stupid would work, although that is pretty much the truth? Of course, it would not work, and the child would remain fearful and possibly lose trust in the parents in such a case. If the agribusiness wants to win the public’s trust, it will have go look under the bed and, together with the public, take a peek at it. The public could hardly care less for the industry’s scientific facts, but it cares about being listened to and being empathized with. Interesting challenge, is it not? You are currently browsing the The Food Futurist blog archives for September, 2010.